We offer opportunities for involvement at every level of our organization. From corporate partnerships supporting employee wellness and giving back, to leading public initiatives, we're here to make a difference with you. Corporate, school and community groups are welcome to join us for volunteer days: we love the support, and our volunteers love seeing the joy on a kids face at camp, or cleaning up our community gardens! See our volunteer page for listings, or contact Kaylé Barnes to discuss ongoing, large or unique opportunities for corporations or groups. If you're interested in membership for your staff teams, please contact Jennifer Trombley! The Y is a leading partner, locally and nationally, in public initiatives; government, foundation and private sector partnerships which provide resources and support to those in our community who need it most. 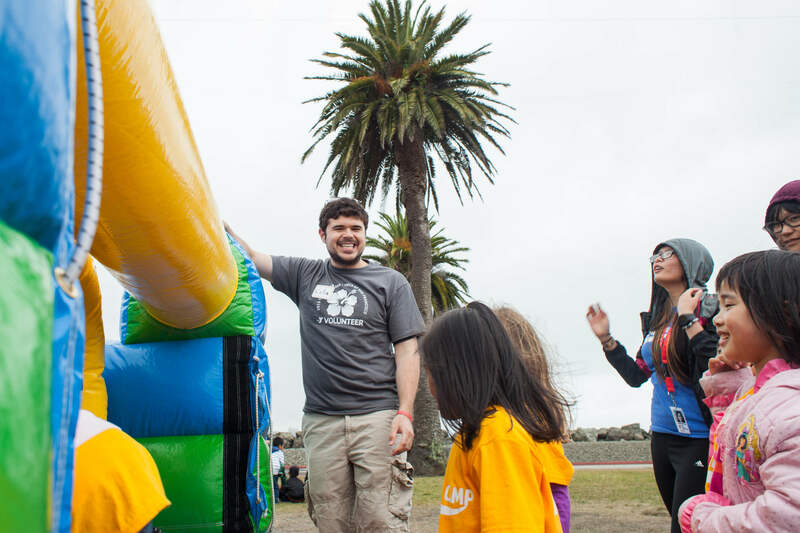 We're a leading city partner in youth development, a partner of the Department of Public Health in the Shape Up San Francisco Coalition, and collaborate with Universities and healthcare providers to create dynamic and effective programming. Learn more about our current partners.